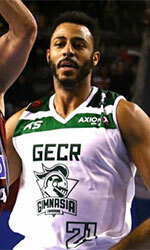 Diablos de Miranda (Serie A) landed 27-year old center Dario Castro (206-91). He played in the summer at Panteras in Venezuelan LPB league. In 12 games he averaged just 2.1ppg and 1.8rpg. Serie A will be definitely a better match and he can see more playing time. Castro helped them to win the regular season and make it to the semifinals. He also played for Isidro Metapan (Liga MB) in Salvadorean league where in only one game he had 4 points, 5 rebounds, 1 steal and 2 blocks. The other team Castro played shortly was Panteras (also in LPB). 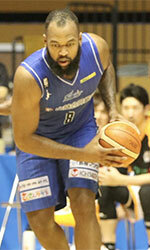 He contributed to his team winning the regular season and make it to the semifinals. Castro has played previously professionally also in Colombia (Sabios, Patriotas, Condores, Halcones).